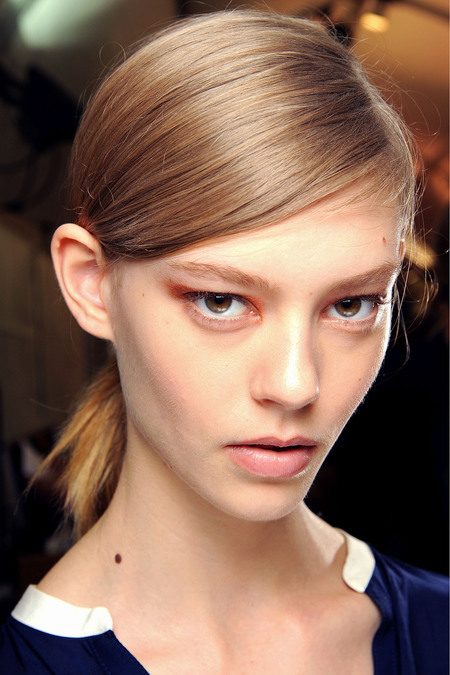 Photos taken from the Spring 2013 ready-to-wear collection of Chloé are a hint of the subtle attitude in hair and fashion. Models were styled with a deep side part and then hair was pulled in a loose elastic at the nape of the neck. The approach is young, fresh, and realistic–it shouldn’t take hours to look runway ready. This entry was posted in Hairstyles, Inspiration, Pro Tips, Star Style and tagged chloe, chloe spring 2013, deep side part, long hair trends, loose ponytail, simple hairstyles, spring 2013, spring 2013 hair trends, subtle hairstyle ideas. Bookmark the permalink.